Thinking about selling your house? You might be approached by a bunch of different people who all offer to help you sell. But not everyone who offers to help will help in the same way. Some are real estate agents, other are real estate investors and they’ll help you in different ways. Here are 3 ways to tell real estate agents and investors apart in Overland Park. The easiest way to tell agents from investors is to ask what they are going to do with your house – list it or buy it. A good real estate agent will list your house on in the local multiple listing service, market it all over the internet, and hopefully they and other cooperating agents will bring buyers to walk through your house and one will eventually make an offer. Some things to think about here are: “Good Agent”, “Market It” and “Walk Through”. First a Good Agent is not always the that easy to find. You might have a friend or family member who is an agent who will list your house for you. Make sure they have done this before, that they know your area and that they have expertise in selling a house like yours. We have had sellers call us with a house they currently have listed with a friend or family member, who is doing the listing as a favor and at a discount. They are active agents in some other part of the city and don’t really know the area or the market where the seller’s house is, but they at least put it on the MLS and they are a hoping and a wishing the house sells. They didn’t do their homework and well, they are not doing a good job. Second is Market It. You want an agent who is going to completely fill out all the details on the listing. You want one who will take a lot of good photos to market the home and they are going to put it on all the house marketing websites out there – like Realtor.com and Zillow. First, you need to know that most ReeceNichols agents in the Kansas City market do not put their properties on Zillow, so be sure to ask. Ask the agent for some houses they have successfully sold so you can look at their listings online to see how they market other houses. If they don’t say much about the property, have not completely filled out bedrooms, bathrooms, other rooms and amenities and don’t have good photos, how good of a job will they do for you. 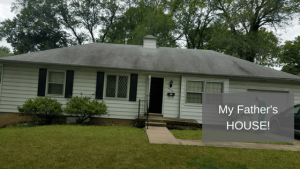 We have talk to sellers who have their home currently listed with a bad Realtor that, while they did get it out on Realtor.com and Zillow, they didn’t do it very well. They left out some key selling features and have very few photos and the ones that they have are bad – instead of a good view of the dining room, they have a shot of the dining room table. And instead of a good view of the bedroom, they feature the bed. Last is Walk Through. This is one thing that many of our sellers come to us for. They don’t want a bunch of strangers walking through their house. They want one person to walk through, make an offer and sell it. That can happen with a Realtor, but it does not happen very often. An investor, on the other hand, isn’t going to list your house – the investor is a buyer and they will buy your house from you directly. 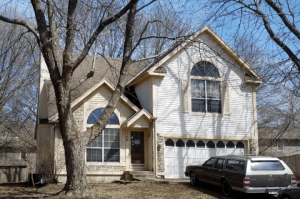 (That’s what we do at kcmoHomeBuyer – we’re buyers and we buy houses in Overland Park. If you want to sell your house, click here and enter your information to find out how much we can pay). The next way to tell an agent apart from an investor is to ask about their timeline to buy. An agent won’t know because they have to find the buyer first. In many cases, they might be looking at 3-12 months during which they’ll show the house to multiple potential buyers. An investor, though, will know exactly how long it will take to buy your house since they’re the ones who will buy it. 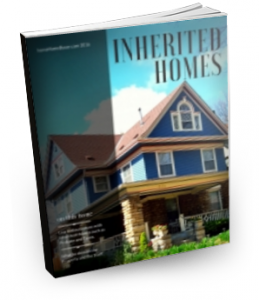 They will have an exact timeline (which could depend on you and how quickly you want to sell). Now we want to have a word of caution here. Just as there are bad agents, as we outlined previously, there are bad investors. These are the investors who can’t quite buy your house. They market that they are cash buyers. They offer to pay your asking price. They get it under contract, BUT they need 60 to 90 days to close and they want access to the house to bring their contractor into the home a couple of times. Note that this type of investor is NOT a cash buyer, but rather a new investor who does not yet have access to cash. They want to get your house under contract so they can then bring in their potential cash buyers in the disguise of a contractor. They are going to then get paid a fee, sort of like a real estate commission to assign that contract to a new buyer. AND if they can’t find a new buyer, they will back out of the contract with you. If you find yourself working with a buyer like this, who backs out at the last minute. Please be sure to call us. We are cash buyers. We write a contract to buy your house cash. We send it to a title company to work out the paperwork. And we close in a week to 10 days, sometimes sooner and always on your timeline. No we don’t have deep pockets, what we do have is lot of friends with deep pockets who know what we do and how we do it and they are ready to fund our transactions for us. We can buy the low end $20,000 house with our own cash, but we have friends who can fund a $300,000 house in about a week, with no inspections, appraisals or approvals. This one is crucial! An agent makes their money when they find a buyer and then you have to pay them a commission on the house (which could be somewhere around 6% of the sale price (sometimes a bit more)… or $6,000 on a $100,000 house). 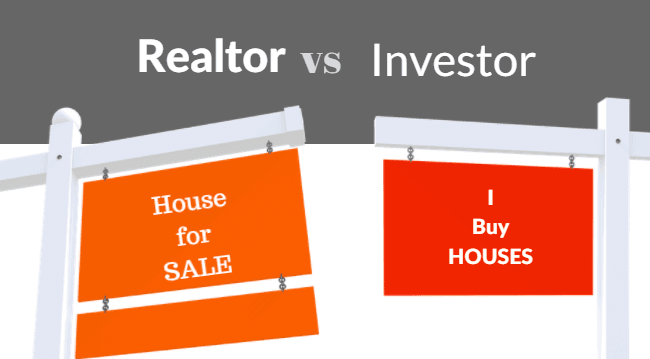 An investor, however, isn’t listing your house so there aren’t any commissions. That’s because an investor will make money by either renting the house to a tenant or fixing up the house and selling it… so they make their money in a different way. There are other ways to tell an agent or investor apart. The best thing to do is just ask… they’ll tell you! Here at kcmoHomeBuyer, we are actually both. We don’t list too many properties other than our own after we have fixed them up. We would much rather talk to you about your situation, take a look at your house, crunch our numbers, come to an agreement and go to closing in a week to 10 days. But for a select few of our sellers, that would be better served by working with a Real Estate Agent, we will refer you to a Realtor who knows your area, knows your type of property and knows how to market a house properly. So you have nothing to loose, if you are ready to sell your house or possibly a few rental properties, please click on the blue text below and tell us about your property. If you’ve read this post and decided to see what an investor can pay for your house, get in touch with us. Click here and enter your info, or pick up the phone and call our team at (816) 800-9044.